A nice blend of soy sauce, lime, ginger and chilli which penetrate into the beef. marinade at least 3 hours. Water, Organic Tamari Sauce (Water, Organic Whole Soybeans, Salt), Distilled Vinegar, Seasoning Blend [Salt, Granulated Garlic, Crushed Red Pepper, Granulated Onion, Spices, Whole Yellow Mustard Seeds, Natural Flavors (Corn Syrup Solids, Lime Juice, Lime Oil), Paprika], Sugar, Apple Juice Concentrate, Salt, Spices, Contains Less than 0.5% of: Ground Ginger (Ginger, Water, Phosphoric Acid, Xanthan Gum), Onion, Grapefruit Peel, Tangerine Peel, Citric Acid, Yeast Extract, Xanthan Gum, Guar Gum, Corn Syrup, Tamarind, Natural Flavors (contains Torula Yeast), Glucose. 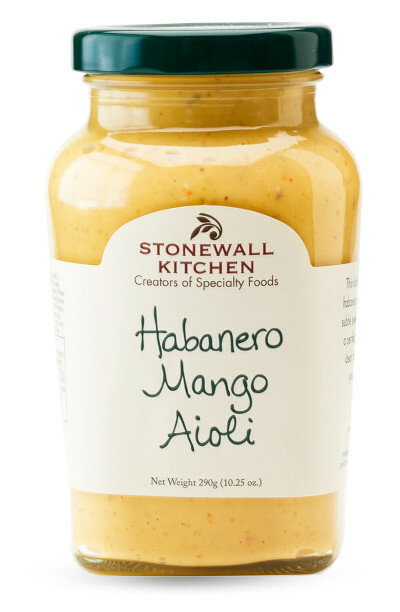 This award winning sauce is Stonewall Kitchen's favourite and sells like hot cakes ! This spicy and tanguy marinade is incredible with chicken. This is a mild version of Walkerswood jerk sauce.